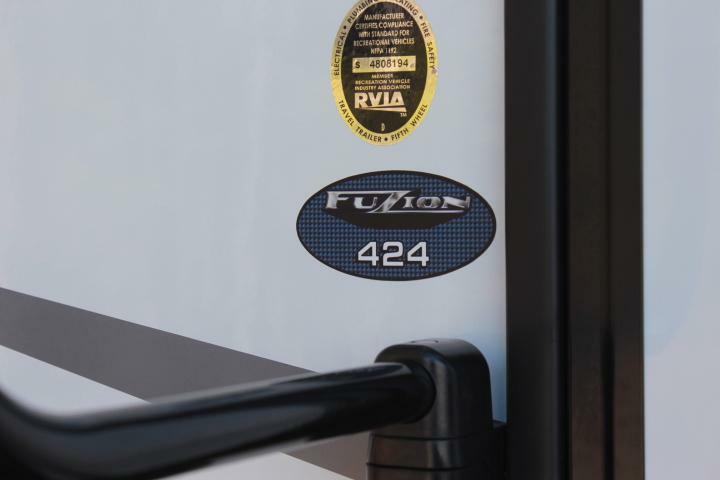 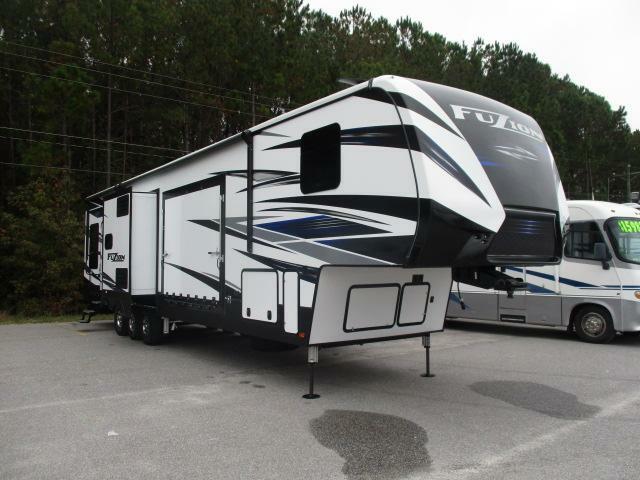 2018 Fuzion 424 toy hauler! 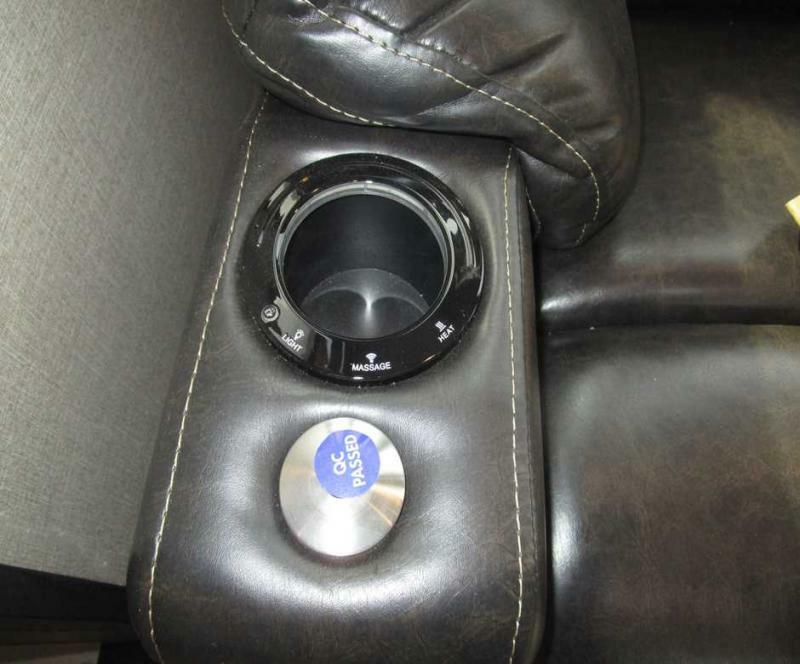 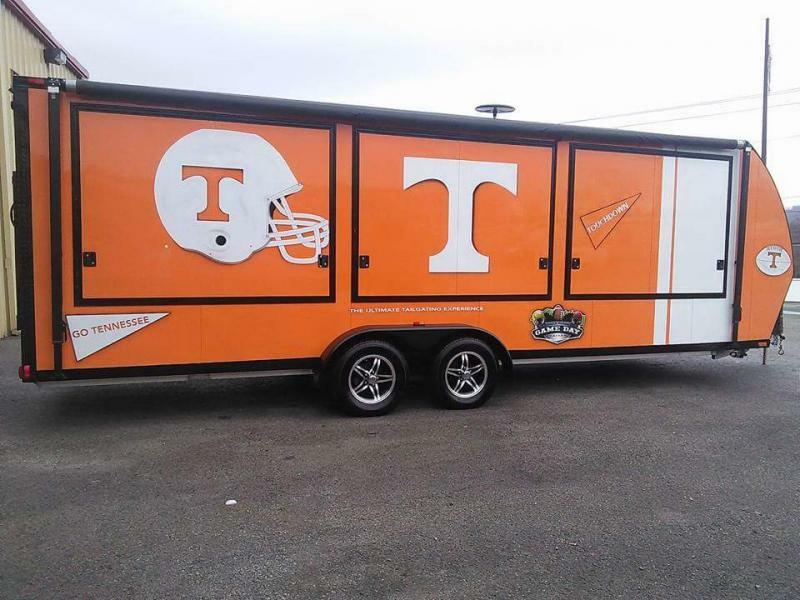 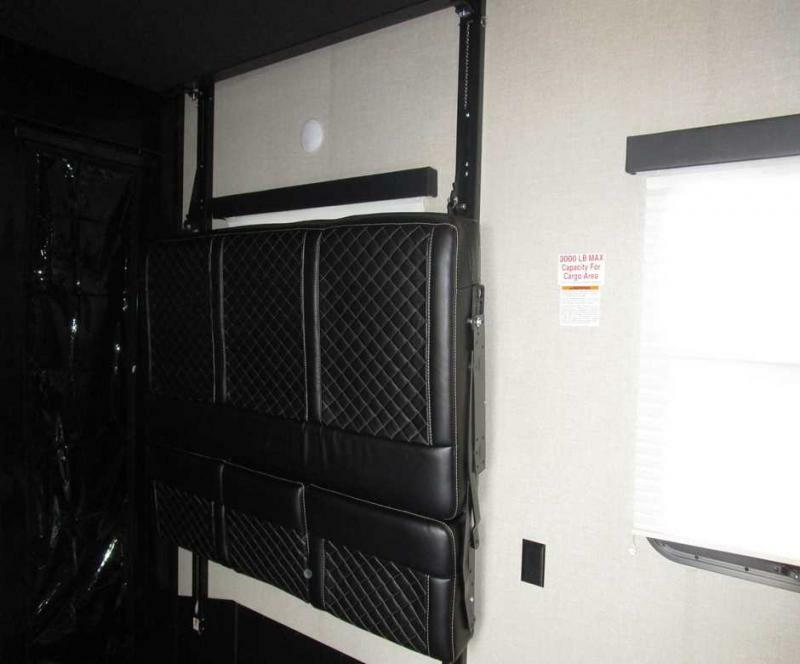 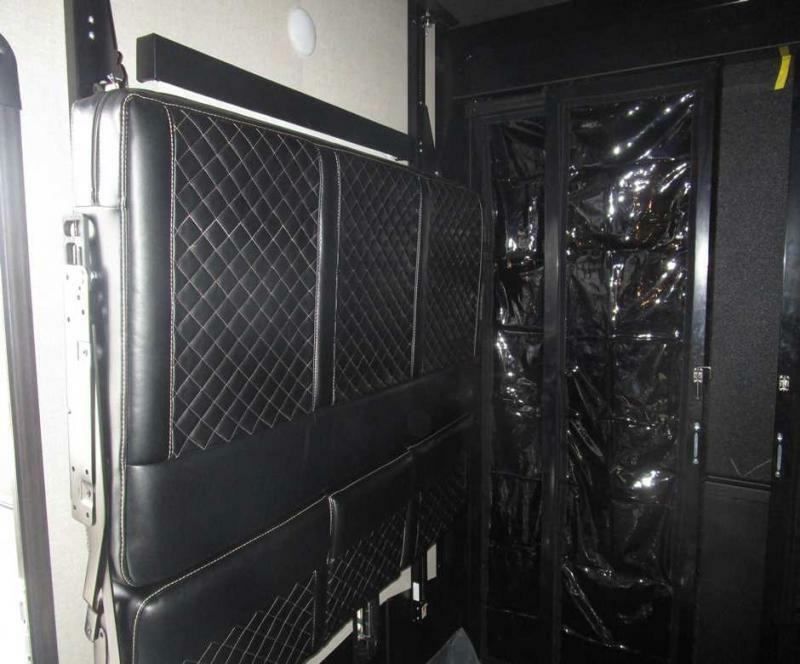 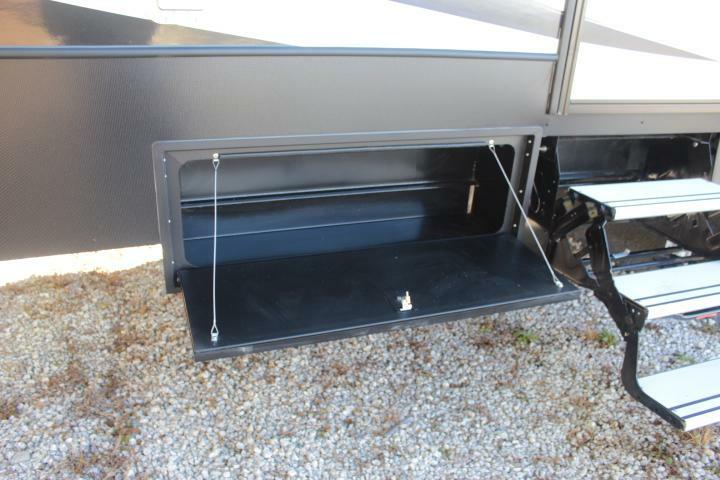 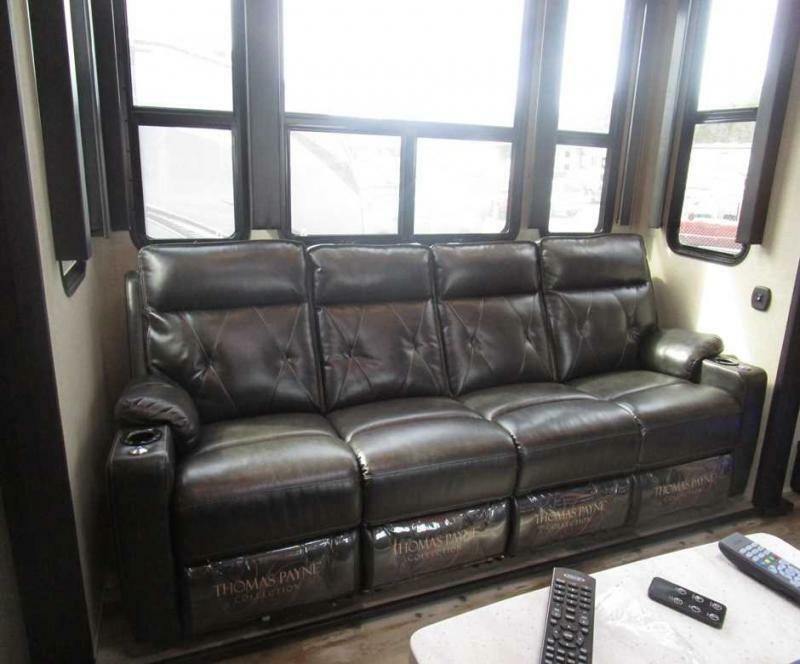 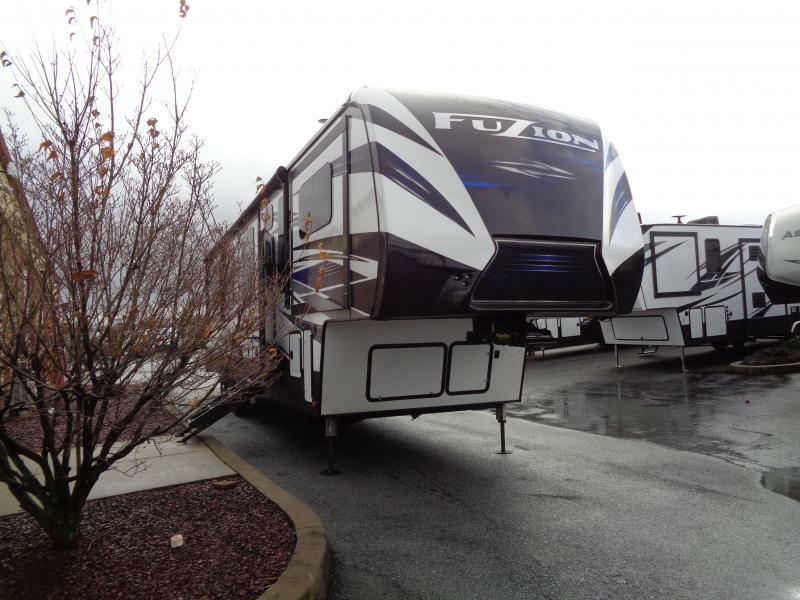 Ready to hit the road today and has all the comforts of home plus plenty of room for all of your toys! 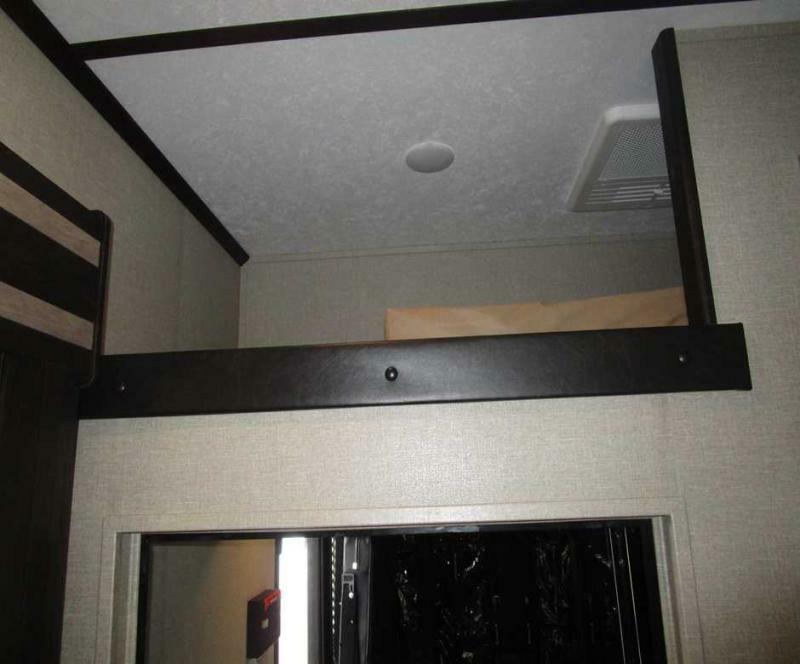 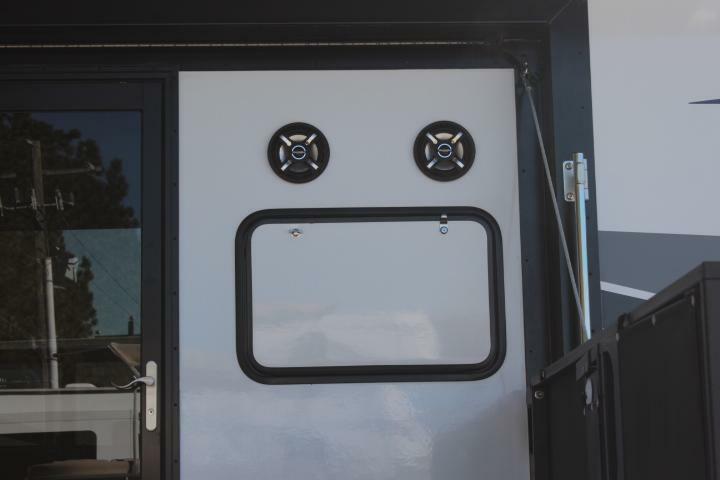 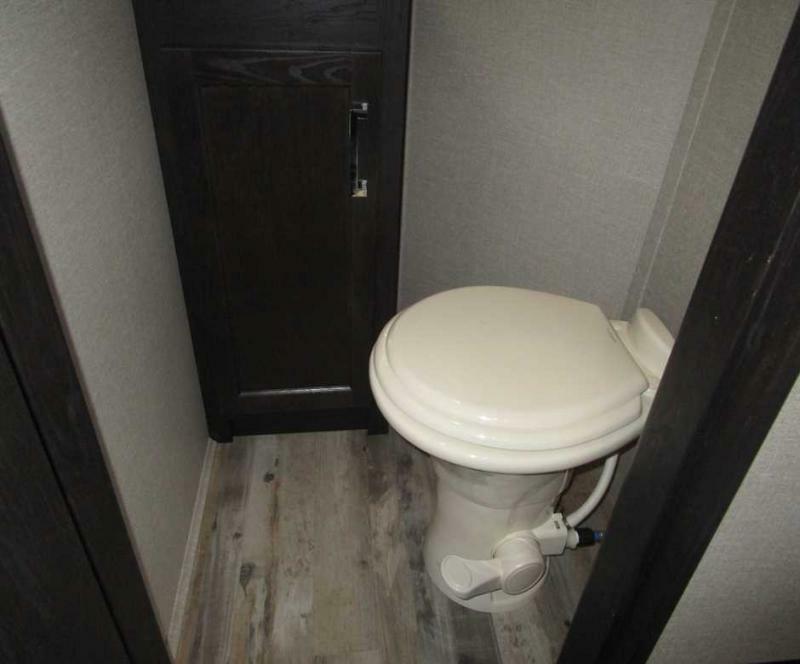 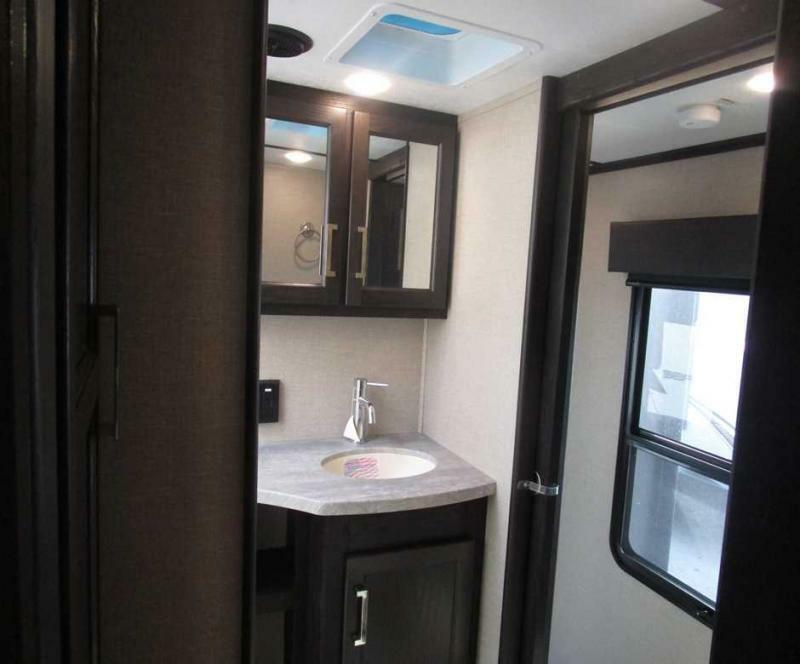 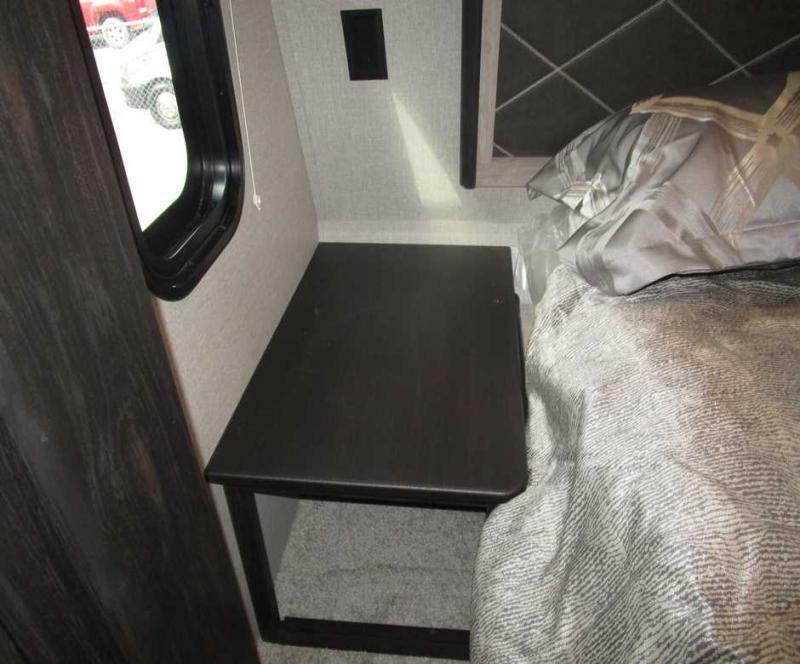 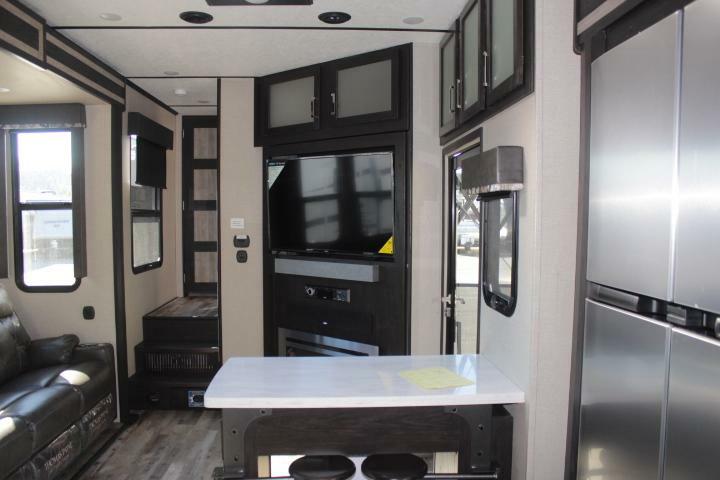 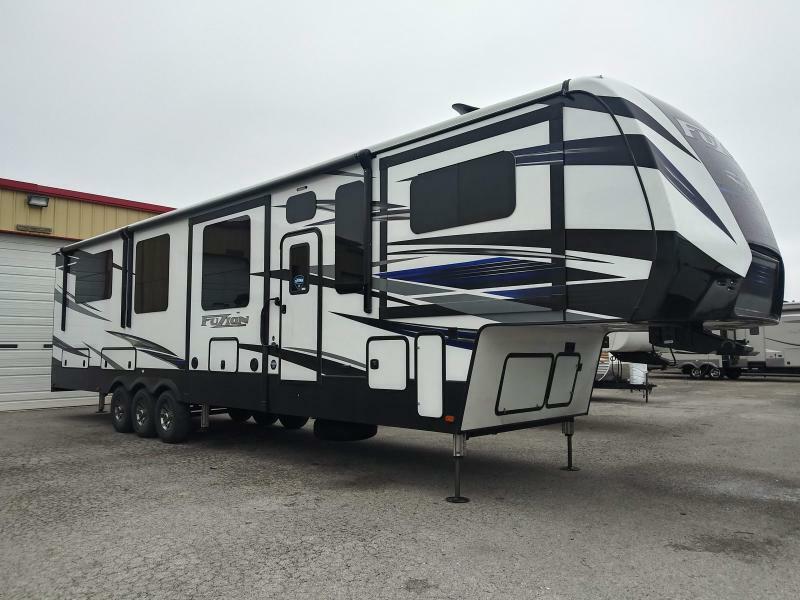 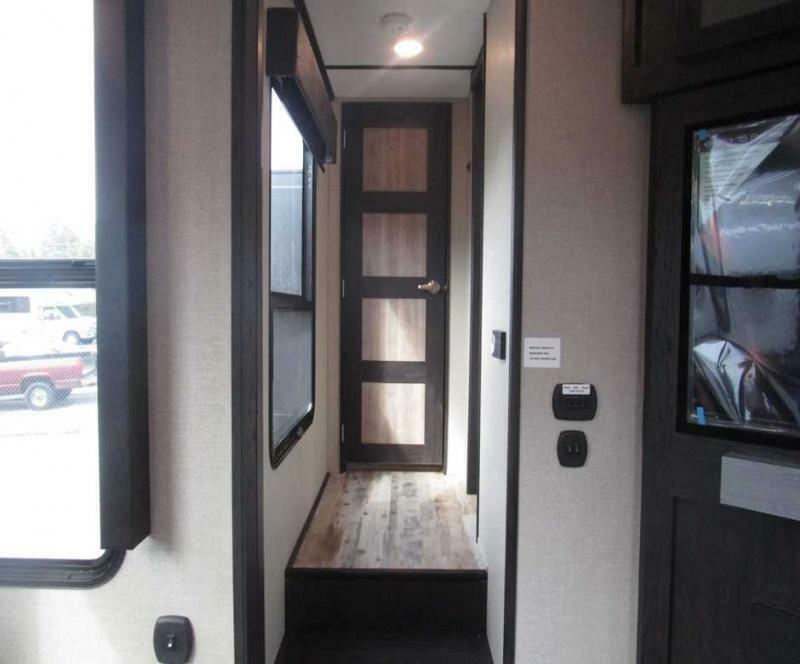 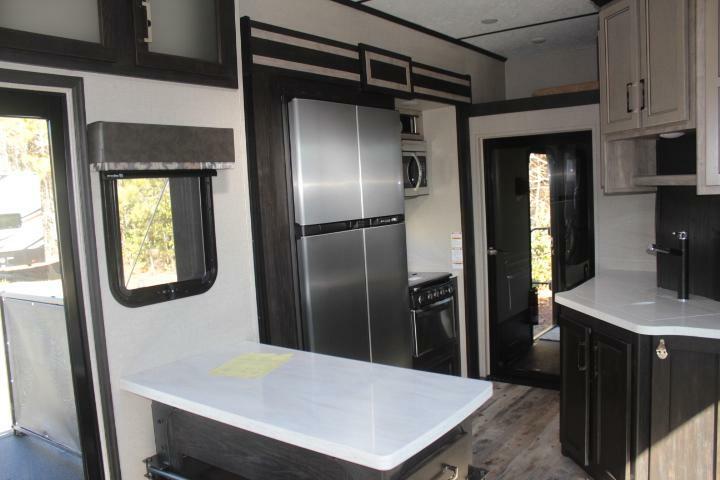 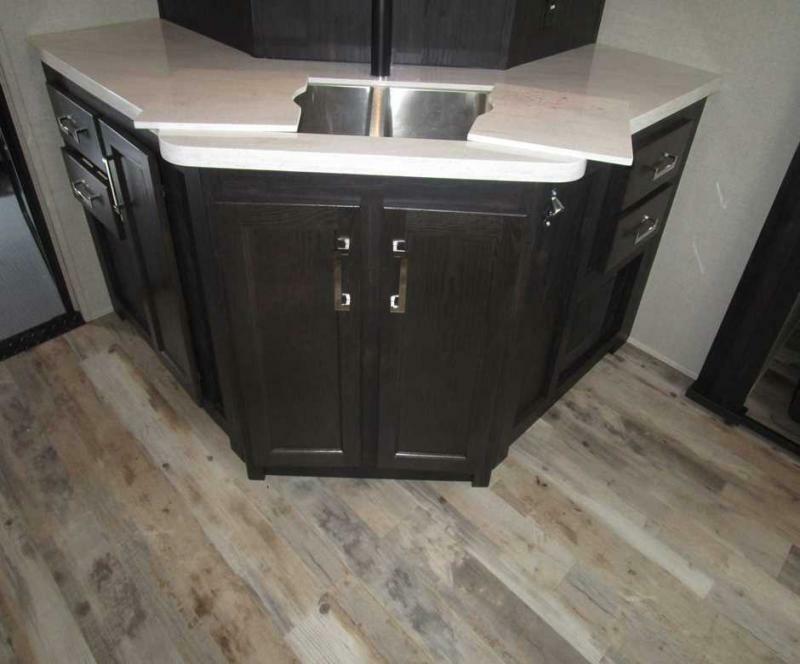 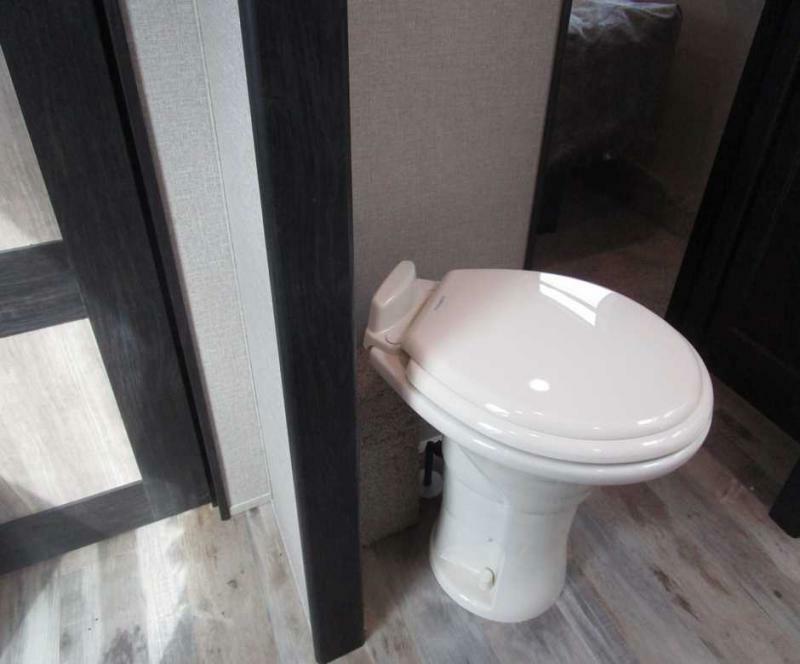 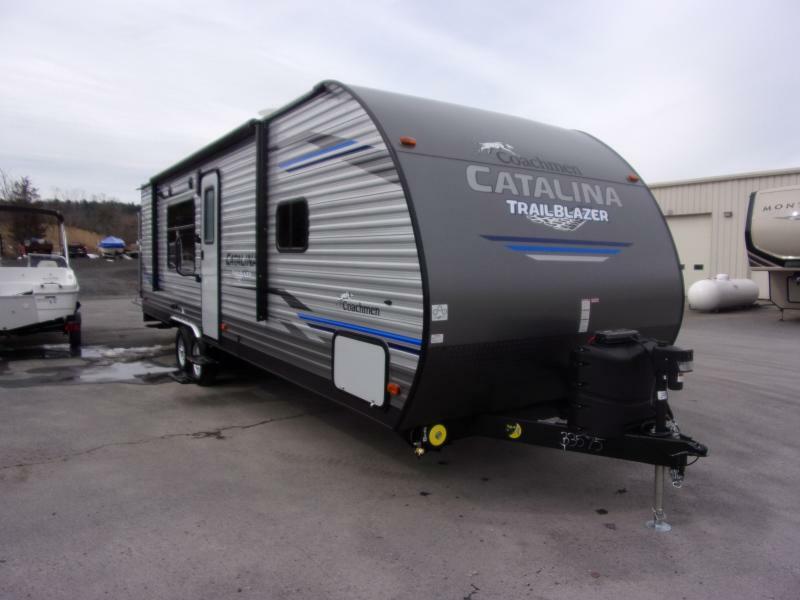 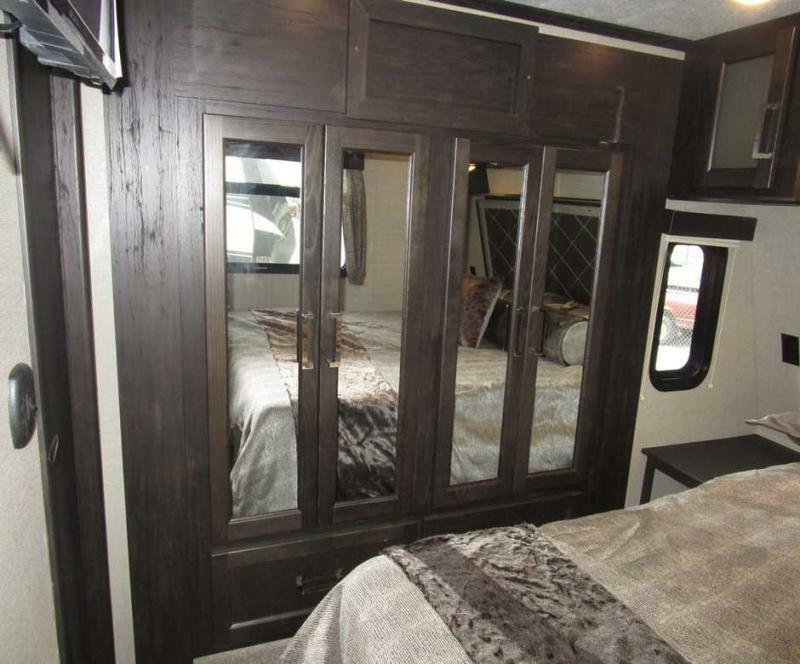 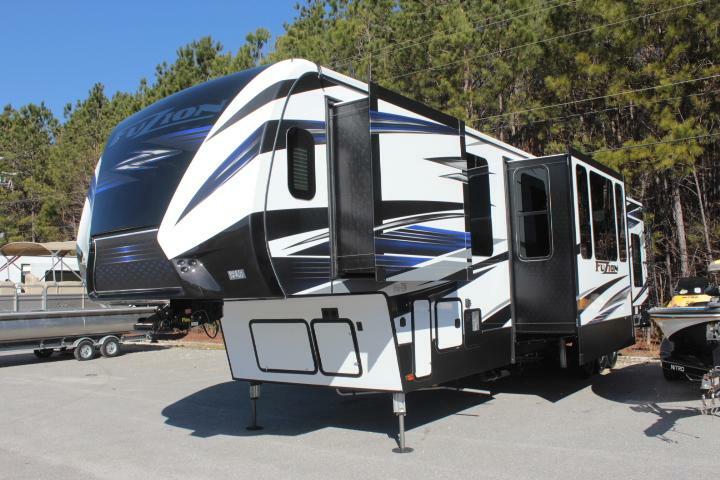 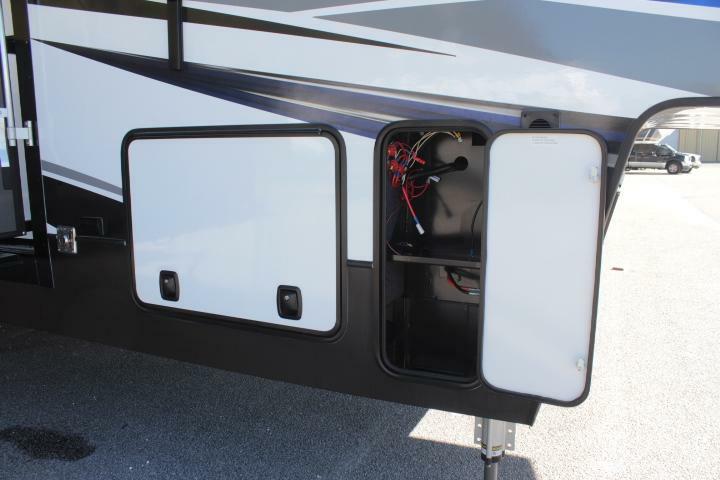 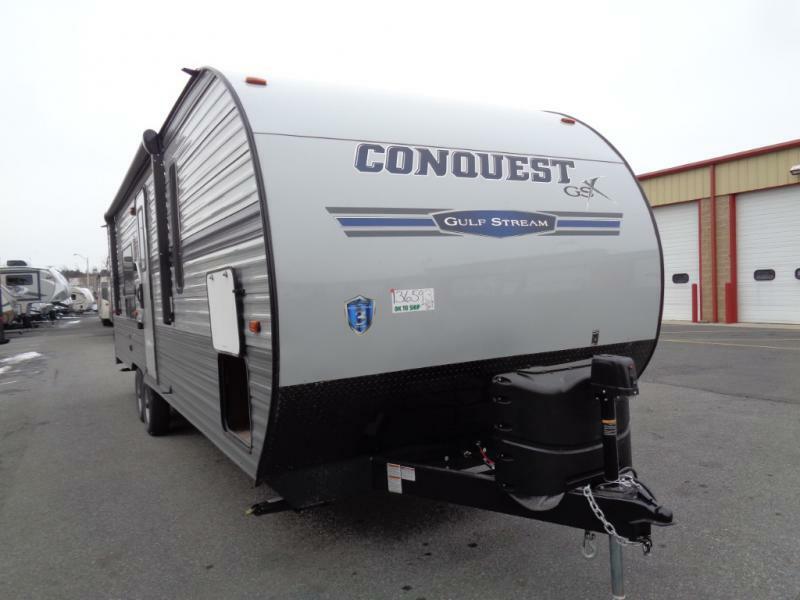 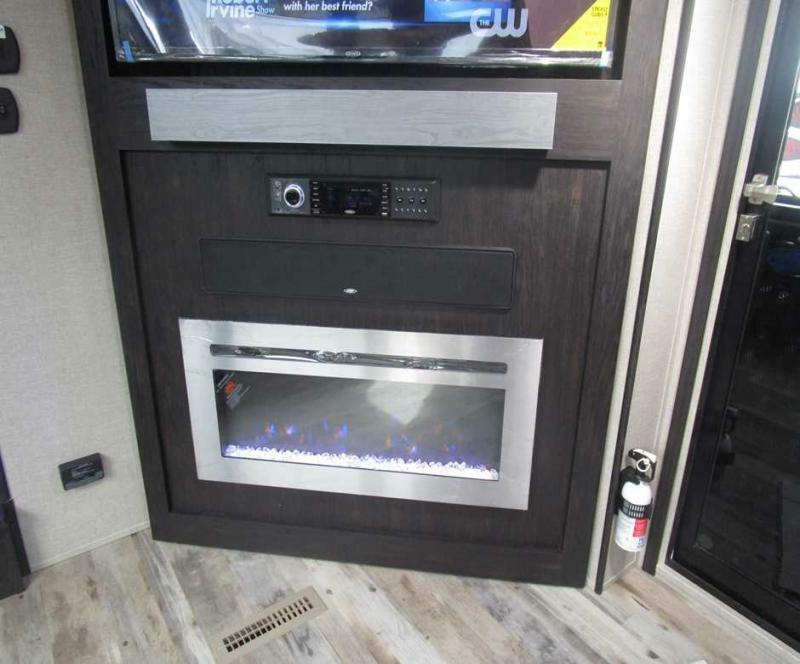 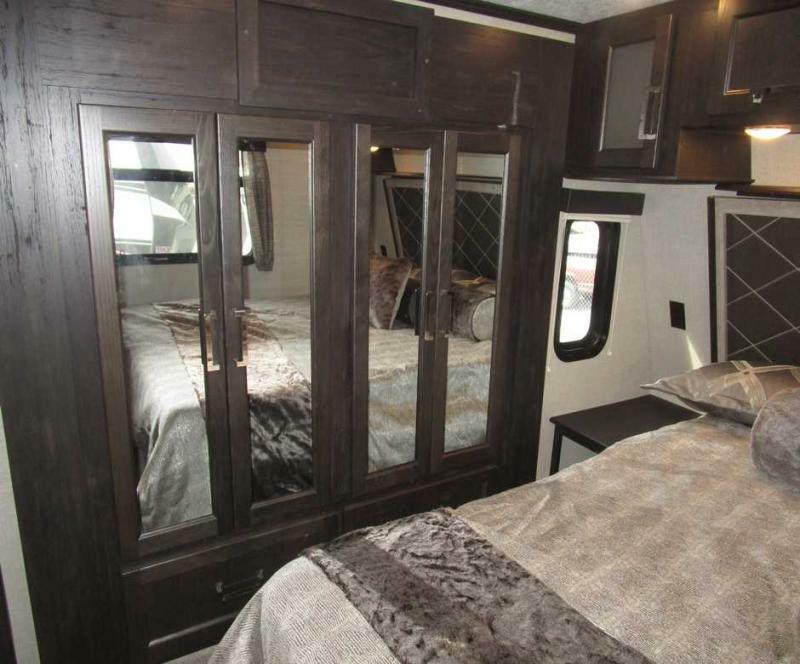 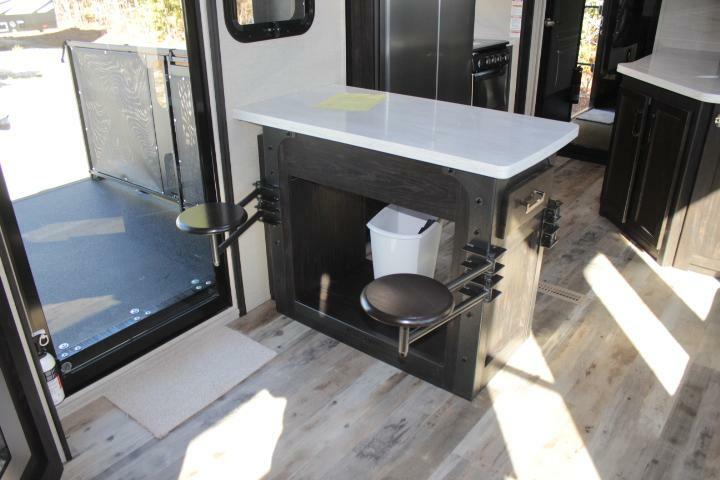 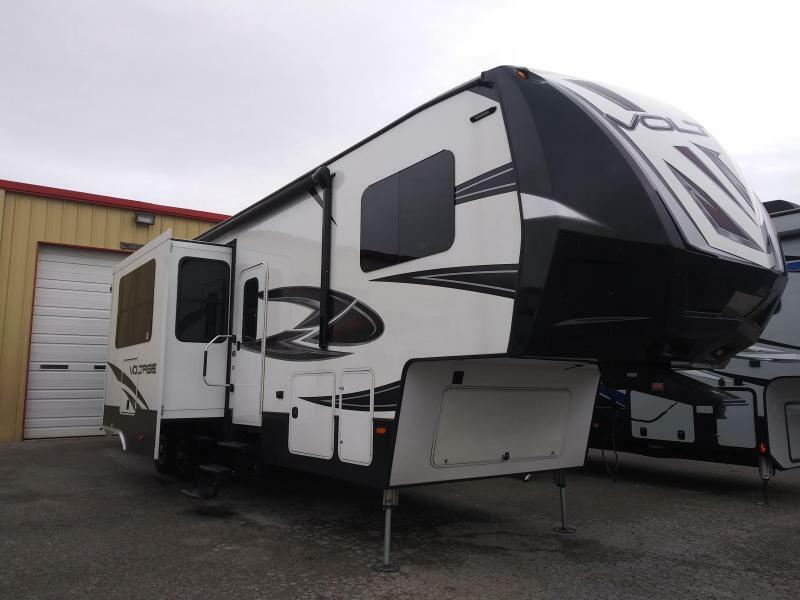 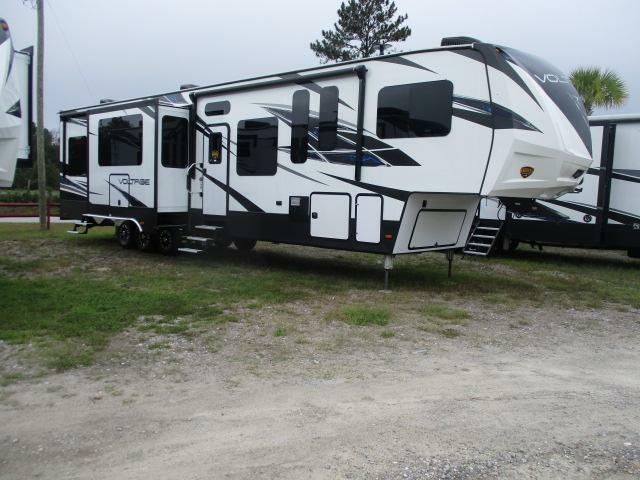 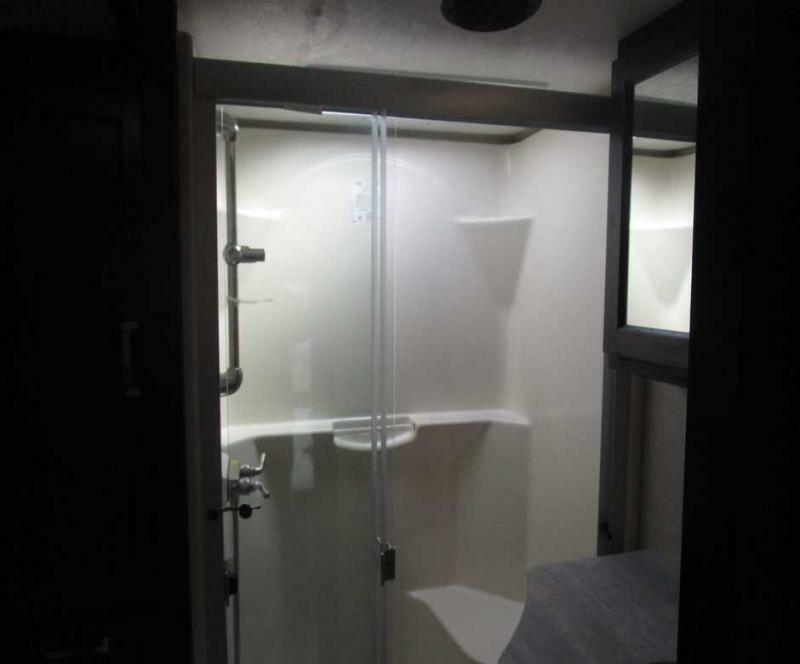 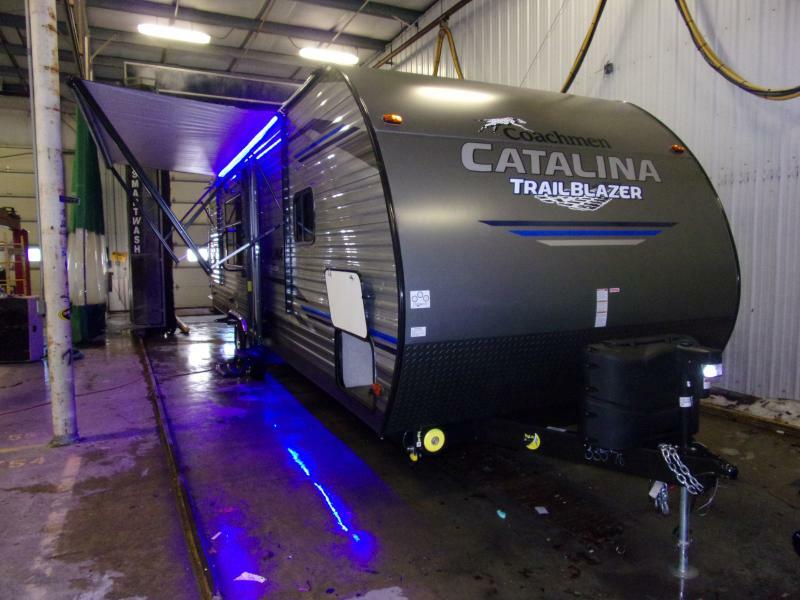 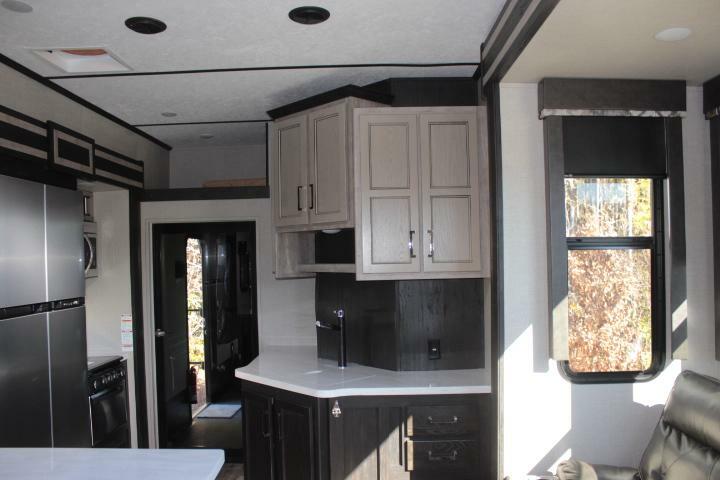 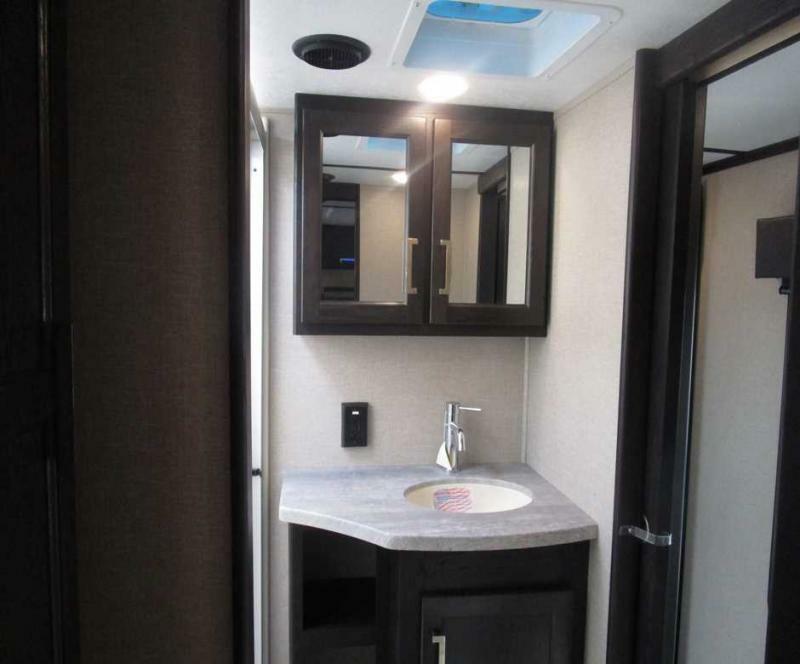 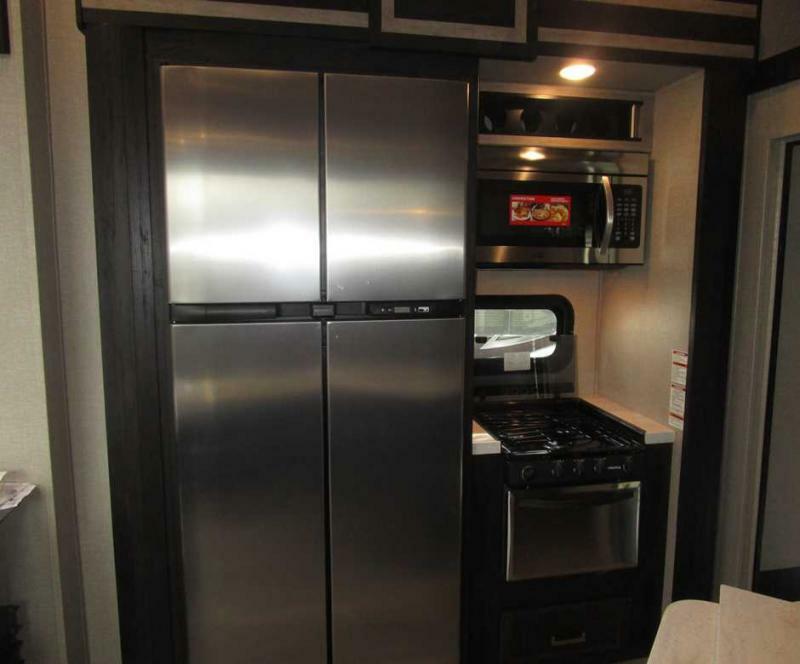 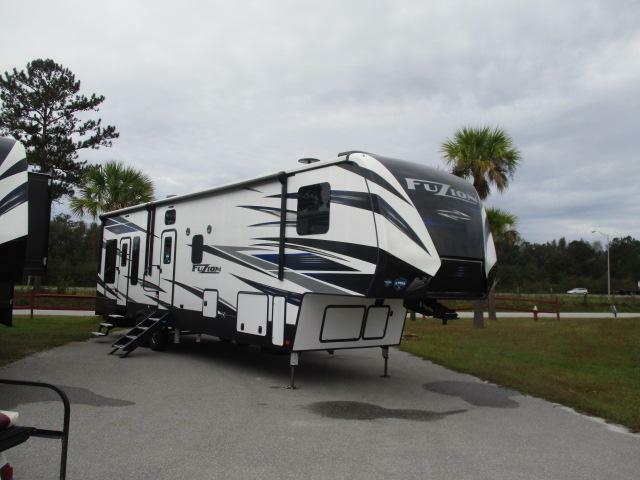 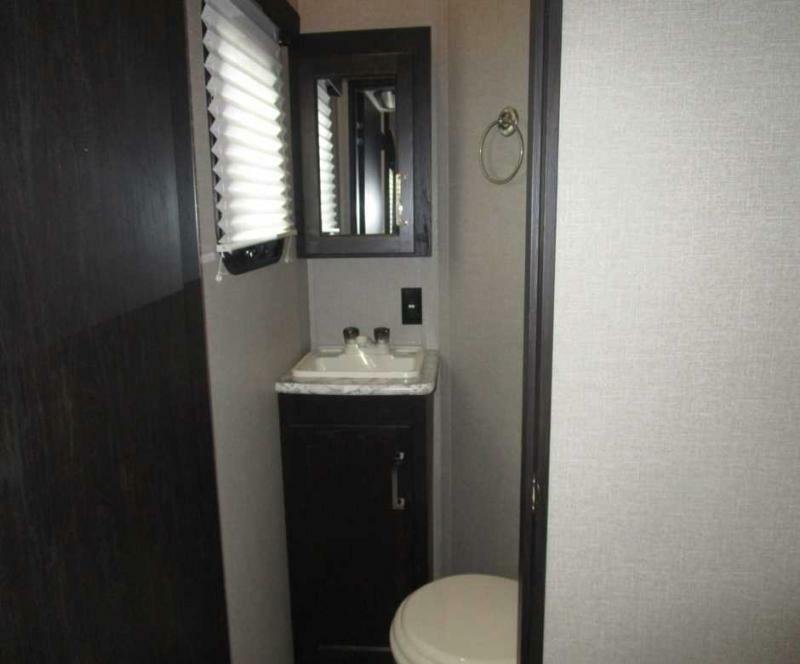 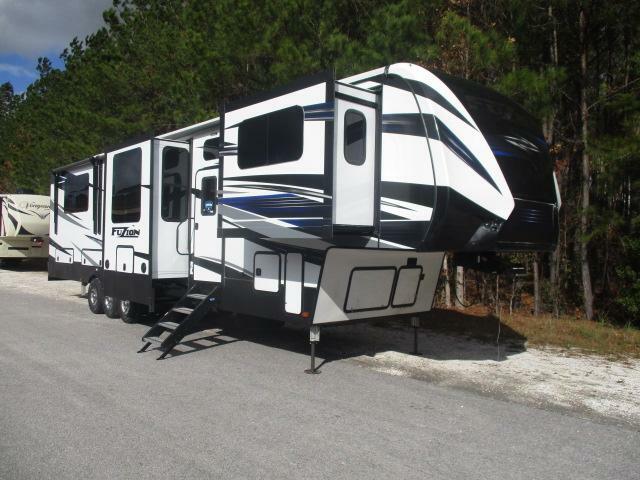 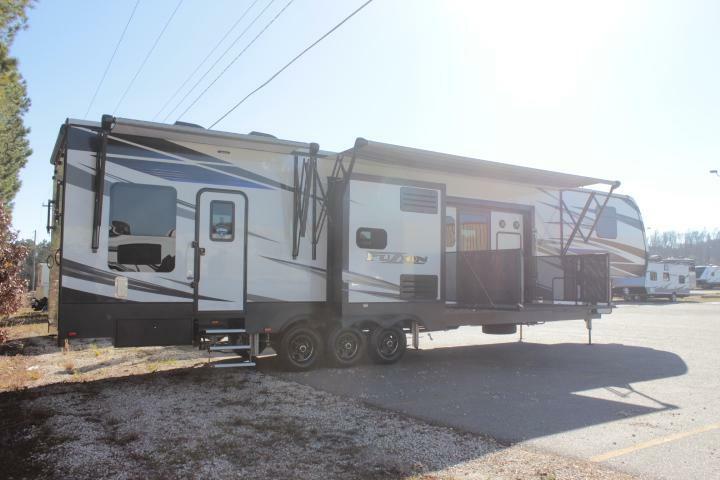 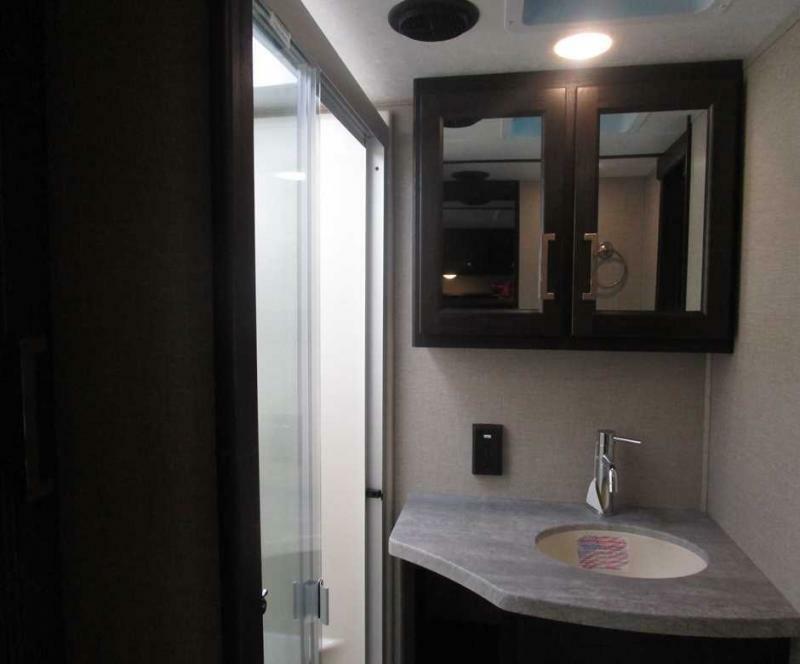 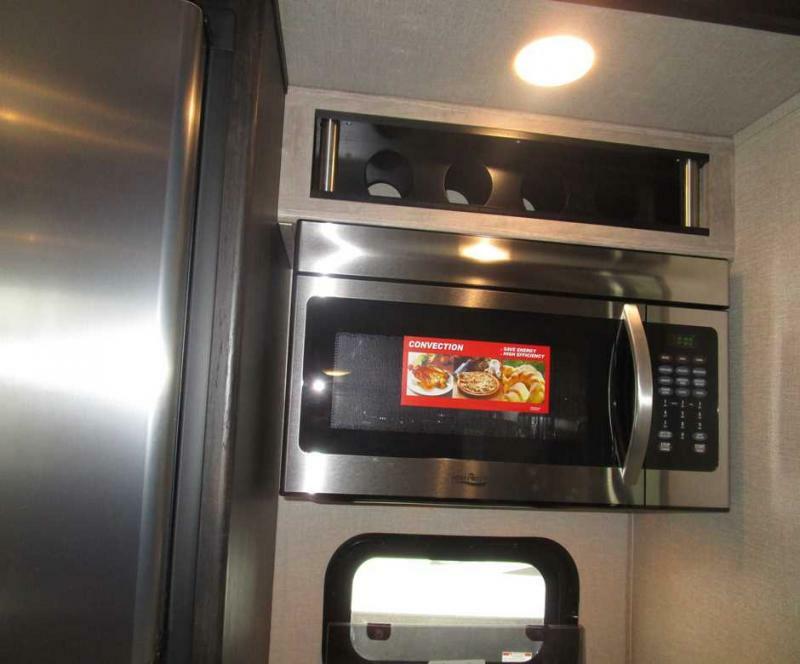 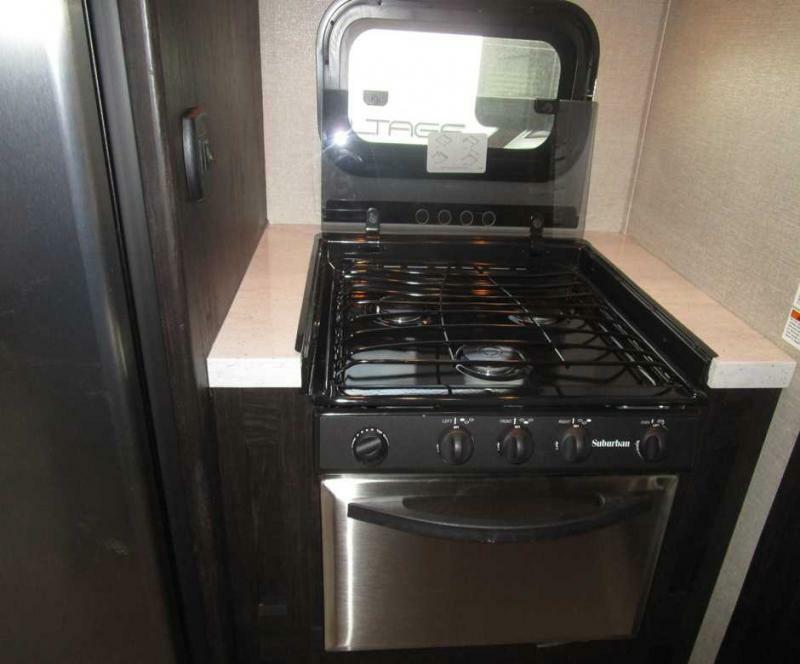 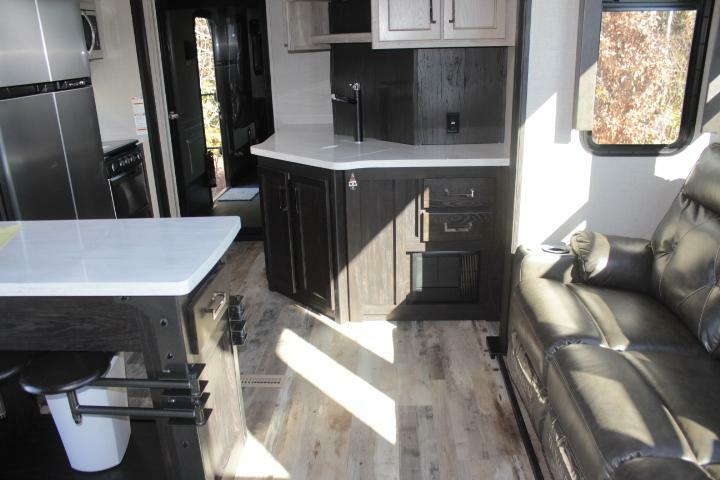 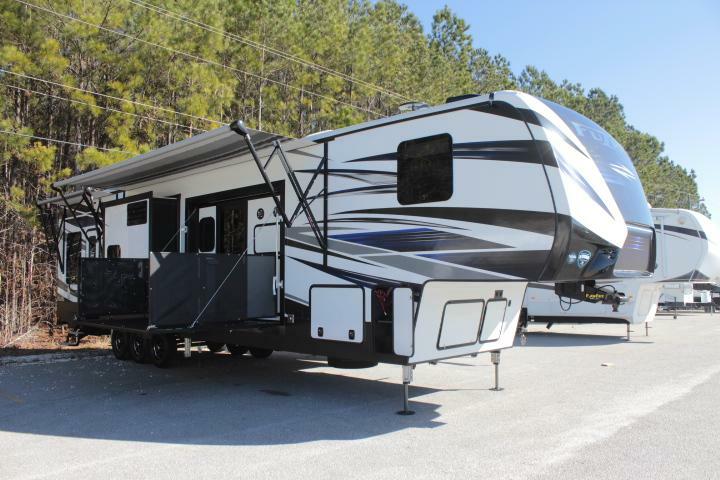 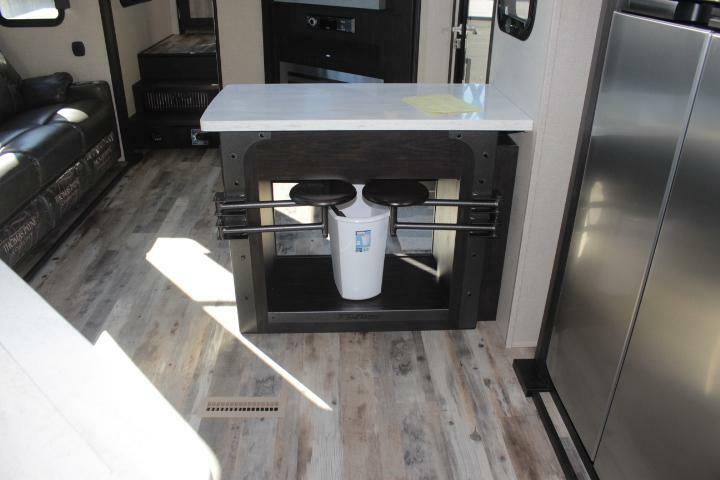 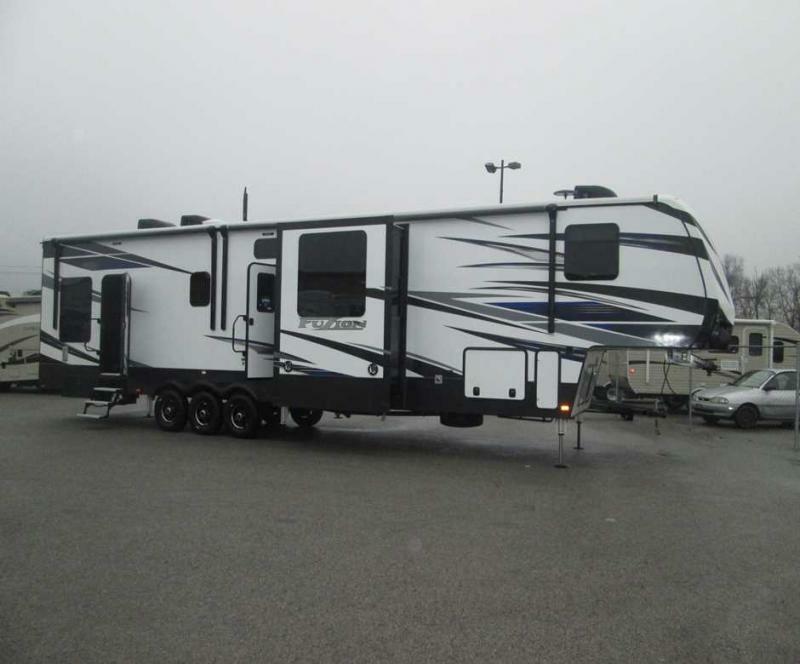 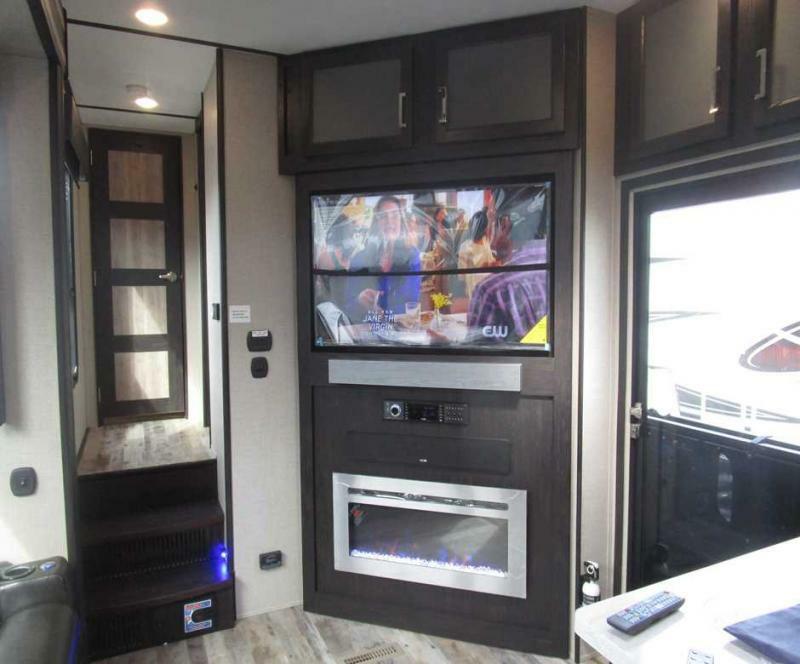 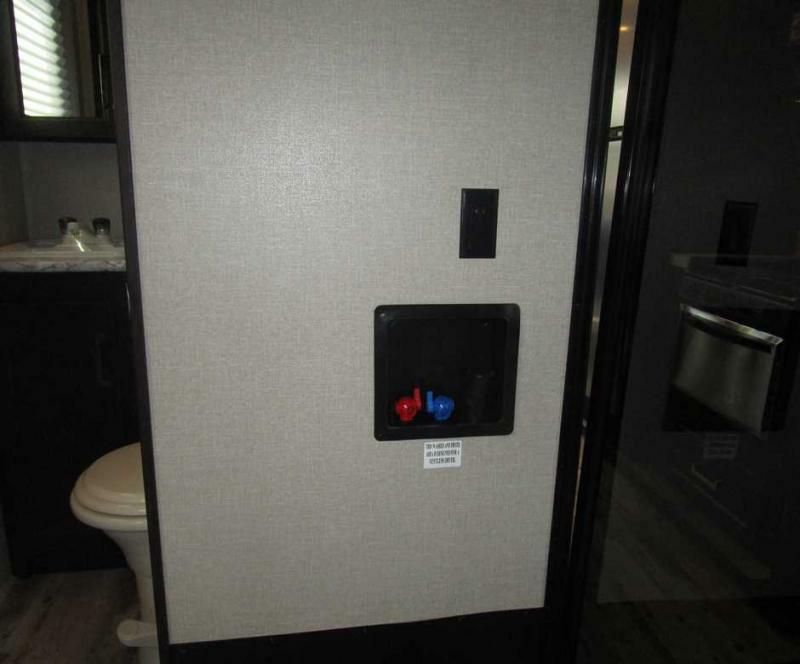 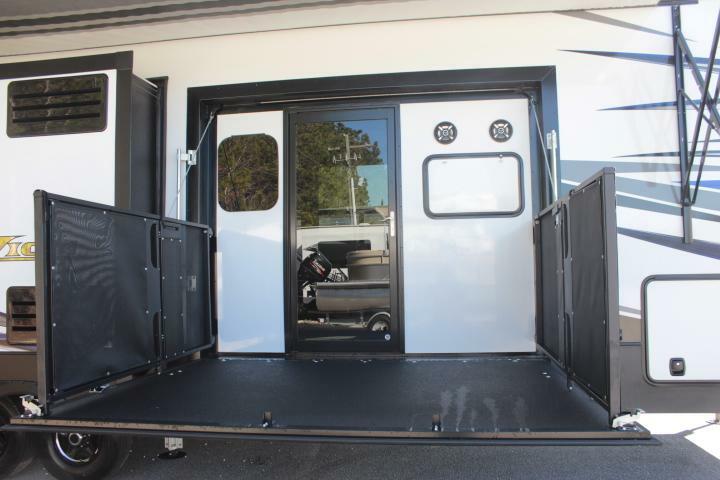 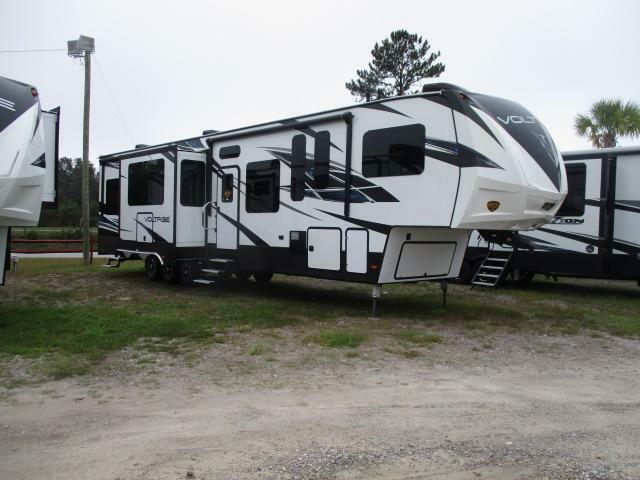 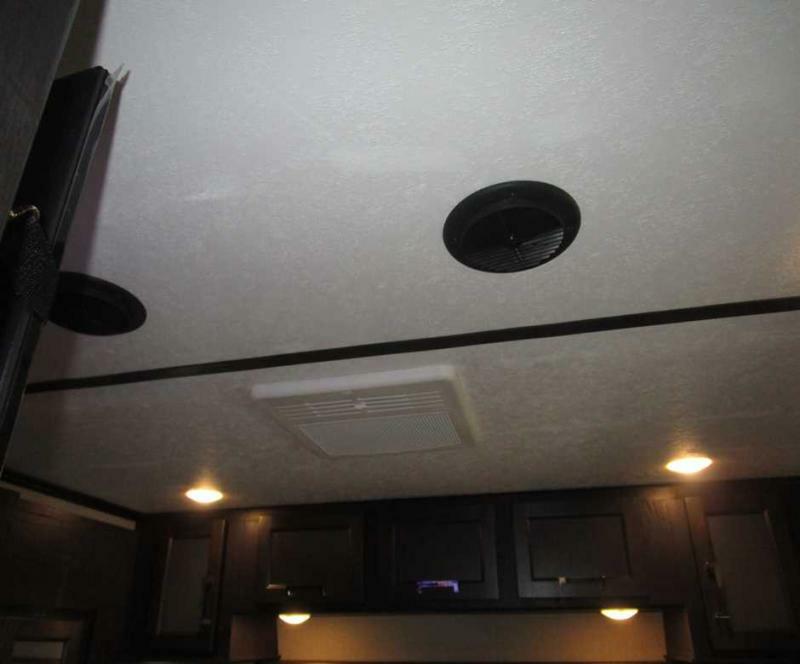 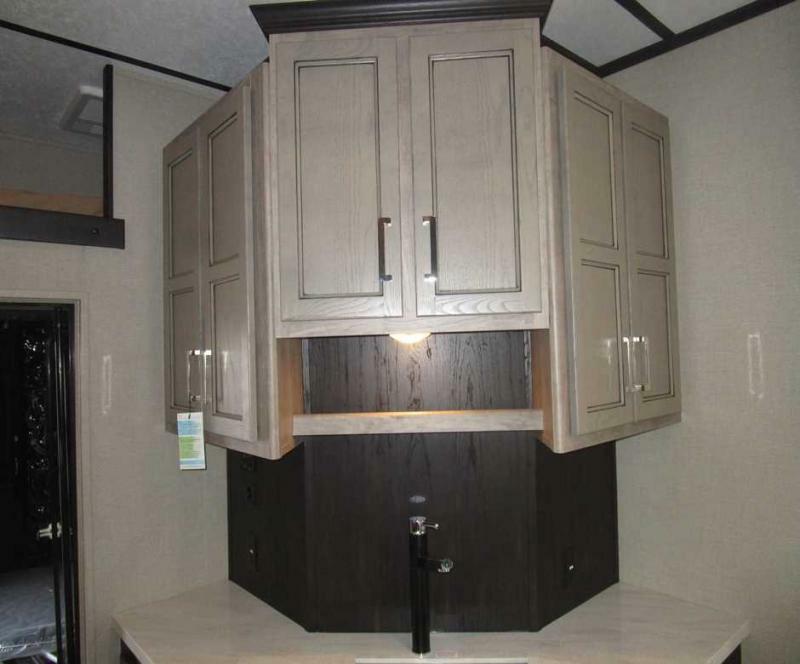 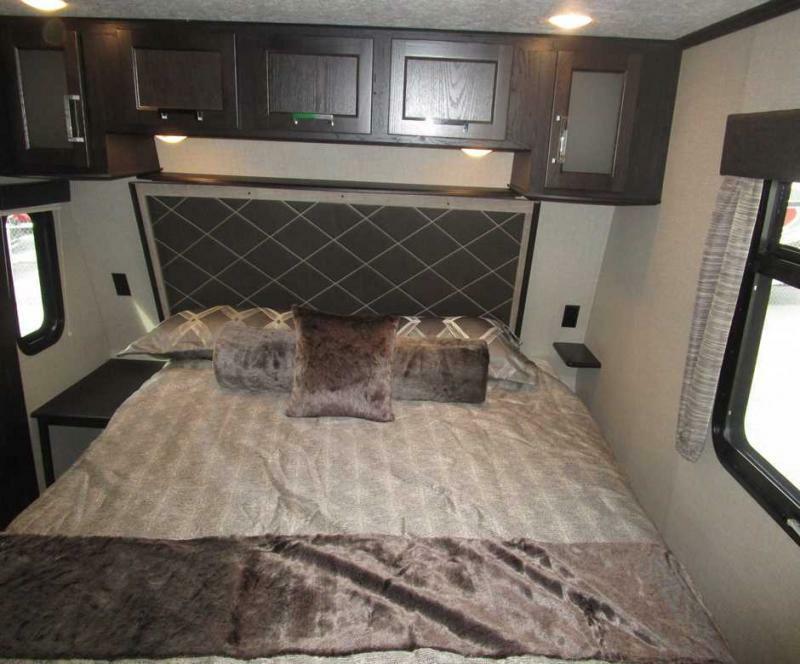 Equipped with electric beds, Onan generator, awning with LED lights, washer and dryer connections, 3 slide outs plus so much more! 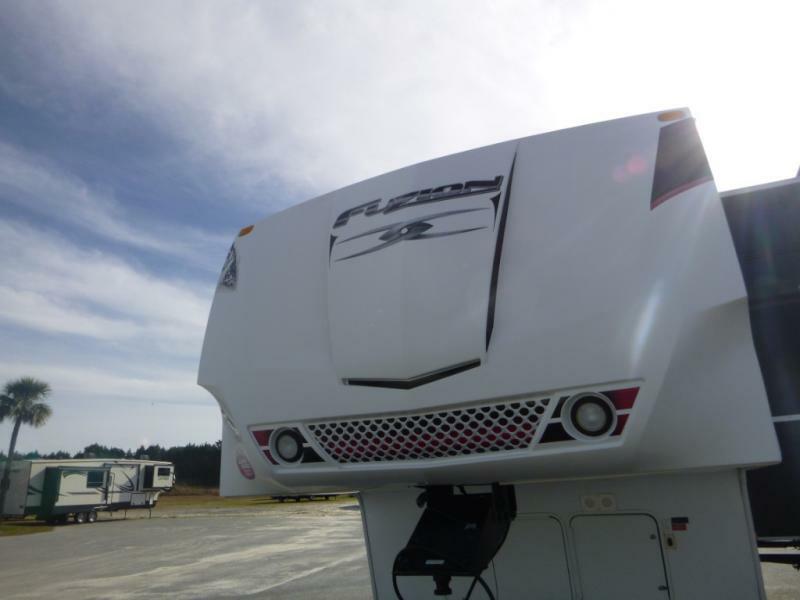 Call or come see us today and don t forget we offer financing options and we accept trade-ins!